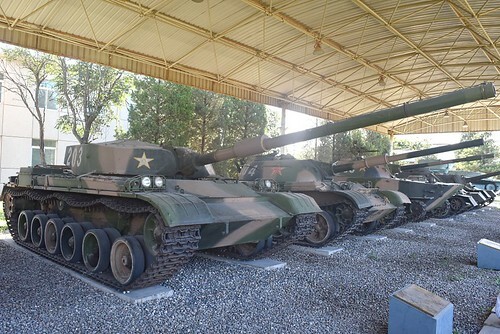 Type 85 Storm I Main Battle Tank with Type 59B Medium Tank alongside. According to the display board the Storm 1 was built for an undisclosed Middle Eastern customer, but the sale fell through and the type joined the ranks in the tank regiments of the PLA. Armed with a 105 mm gun.